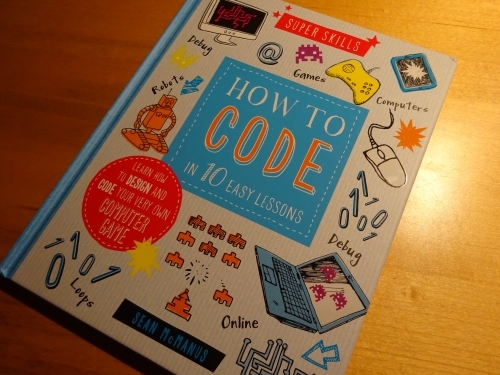 Sean McManus's Writing blog: Super Skills: How to Code is out now! You are here: Home > Blog Home > Sean McManus's Writing blog: Super Skills: How to Code is out now! What would you say is the cutover age (roughly) between the Wainewright series and your new book? i.e. when do "younger readers" become old enough to grapple with Super Skills? I'm always a bit wary about giving out age recommendations because children are all different. I've posted samples of both books on my site to help parents choose the best book for their child. That said, the Super Skills book was written for (roughly) age 8 and above. The scope of the programs is fairly sophisticated (interactive games) and there's a fair bit of text (see example pages). Max's books are for younger children, with less text, more puzzle content, and basic code examples.